The shortest way to a full-fledged UAV is converting an existing airframe into a remote system. The Dominator is a fine example of this method. 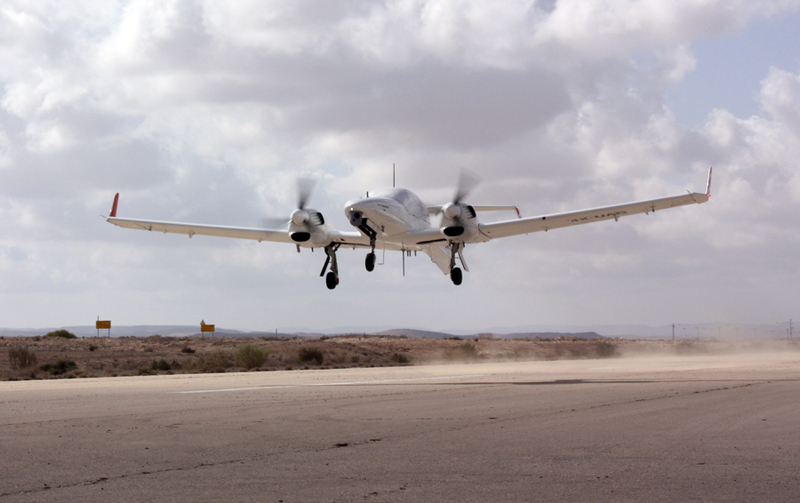 Its manufacturer, Aeronautics Ltd. from Israel, used a Diamond DA42 light plane and flipped the cockpit. The resulting hybrid is comparable to the Franco-German Patroller. Apparently two variants of the Dominator exist. The earlier one resembled the Hermes 900 but was discontinued. The name was eventually transferred to a new model, a twin-propeller T-tail. 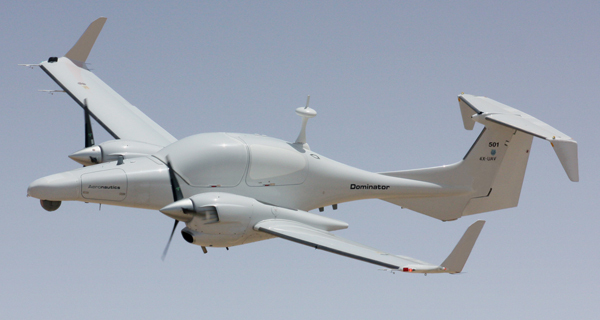 Detailed information about the Dominator is scarce and this particular UAV shouldn’t be confused with another system being developed by Boeing. As a pilot-less Diamond DA42, its dimensions remain unaltered. It’s worth taking note of the Dominator’s ceiling. Its manufacturer claims it to be 30,000 feet. A Diamond DA42, on the other hand, only manages 18,000 ft, which is impressive for an aircraft made of composite materials. Despite its ominous name, the Dominator functions as a MALE drone suited for intelligence and interception missions. Battlefield observation, day/night surveillance, targeting, and geospatial mapping are well within its capabilities. Its avionics suite allows it to independently take off and land on an airstrip. It can remain airborne for up to 28 hours. Its propellers are run by Thielert Centurion 2.0 diesel engines, each producing 135 horsepower each. The Dominator’s maximum speed is reported to be 354 kilometers per hour.